How Much Do Porcelain Veneers in Fort Lauderdale Cost? Are you tired of feeling insecure and dissatisfied about the appearance of your teeth? If you are finally ready to invest in your confidence, you have heard about the excellent benefits that porcelain veneers in Fort Lauderdale provide. They produce drastic results to enhance the size, shape, color, and proportion of your teeth using a minimally invasive procedure; however, before you are ready to commit, you are concerned about their cost. While they do tend to cost more than veneers made from other materials, they are worth the extra money. Veneers are custom-made false fronts that are bonded to the front surfaces of the teeth to cover imperfections, like discoloration, chips, cracks, and minor alignment issues. Now, porcelain has become the preferred material because it allows the veneers to be thinner. As a result, it requires less of the enamel to be removed during the bonding process to keep more of your tooth’s structure intact. Not to mention, porcelain closely mimics the appearance of enamel to create natural-looking results. While porcelain veneers offer added benefits that are not possible with those made from other materials, you can expect to pay more for your new smile. 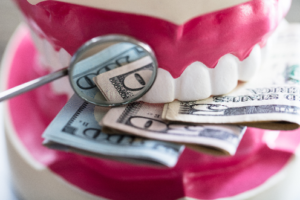 On average, you can expect to pay $925 to $2,500 per tooth; however, that is a very rough estimate. There is no set price for how much you can expect to pay for your new smile because there are several factors that will influence the cost. As a result, what your neighbor paid for their veneers will not be the same as what you may have to pay. Number of Teeth: Generally, you will receive a discounted rate when having multiple teeth treated when compared to just one tooth. Shaping: The extent of the reshaping needed to fit you for veneers will also influence the cost. Placement: The placement of the veneers will also change the cost. If the placement is more complex than most cases, you can expect to pay a slightly higher fee. Dental Lab: Most veneers are created in a dental lab. As a result, you will have to pay fees for their services. In some cases, a dentist may use CEREC technology, which will allow them to be created in-office. This can help to decrease the cost. Dental Insurance: In most cases, your dental insurance will not cover the treatment; however, depending on your specific policy, they may pay for a portion of the treatment. With several factors influencing the cost of the procedure, it is best to schedule a consultation with your cosmetic dentist in Fort Lauderdale for an estimate. Mingel Dental provides comprehensive dentistry to help you achieve a healthy, beautiful smile. In addition to general dentistry, we offer many areas of specialty including cosmetic services. If you are interested in porcelain veneers to enhance your smile, contact our office today to schedule your consultation. Comments Off on How Much Do Porcelain Veneers in Fort Lauderdale Cost?